A public transport advocate who died last year has been awarded the Medal of the Order of Australia. 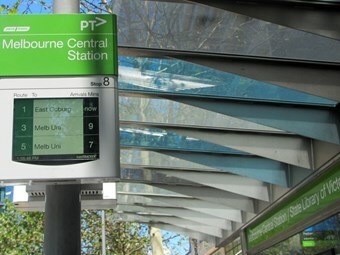 Paul Mees died in June 2013, after a three year battle with cancer and had a long standing relationship with the Victorian Public Transport Users Association. He was given the honour of the award last week. Mees was President of the association from 1992 to 2001, and deserves much of the credit for inspiring the organisation, according to a statement released by the PTUA. The organisation also says the man is responsible for the broader sustainable transport advocacy movement in Australia, and had a robust strategic vision together with strong intellectual leadership. "Paul continued his advocacy work outside the Association after 2001 and was pivotal in raising the political profile of public transport to the point where the issue now decides Victorian elections," the statement reads. "In his final public address last June, only a short time before he died, Paul emphasised the threat posed to Victoria's public transport renaissance by the diversion of funds to the East West Link road project." Mees’ camaraderie and insights on the Australian transport debate are highly valued and will be sorely missed by the association, who offer congratulations and support to his wife Erica, his family and friends.